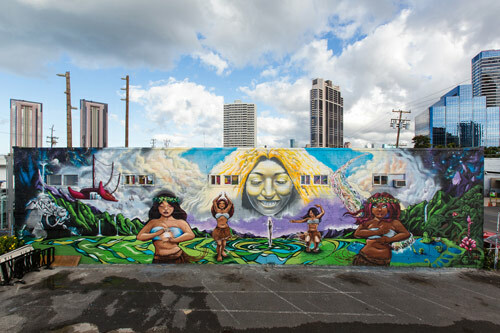 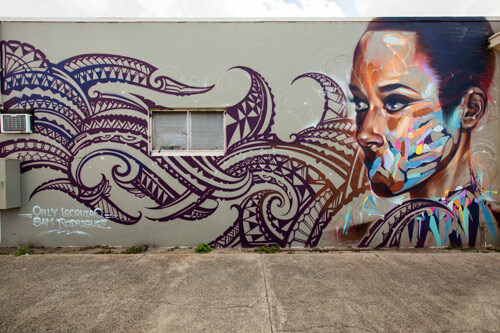 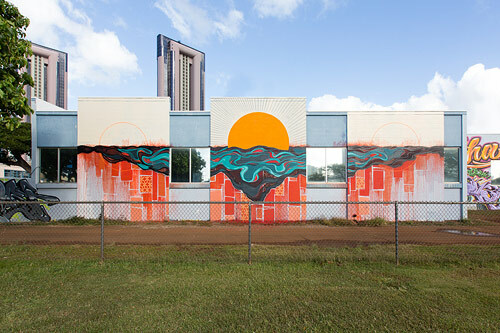 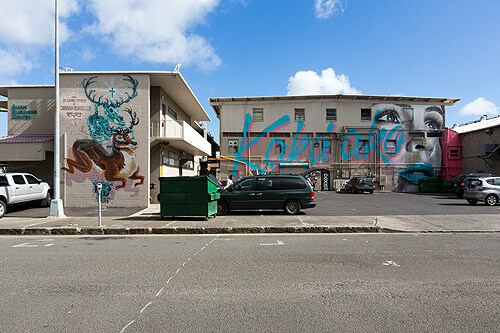 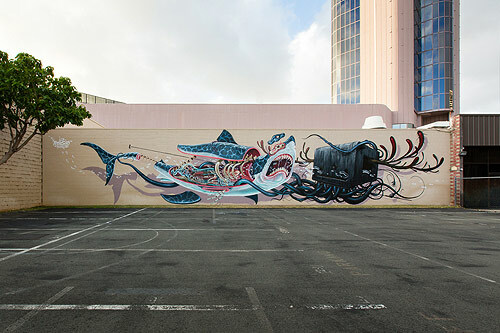 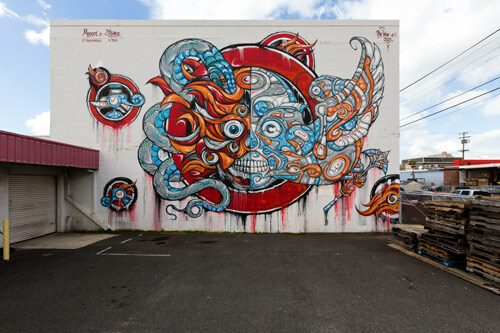 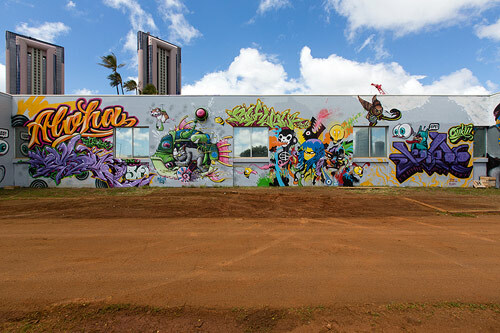 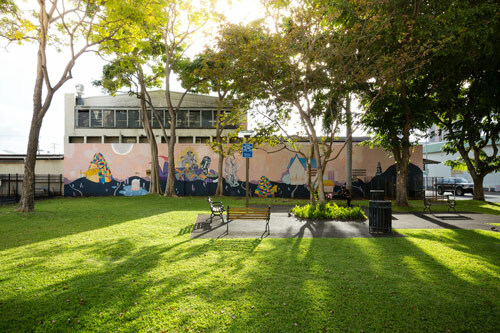 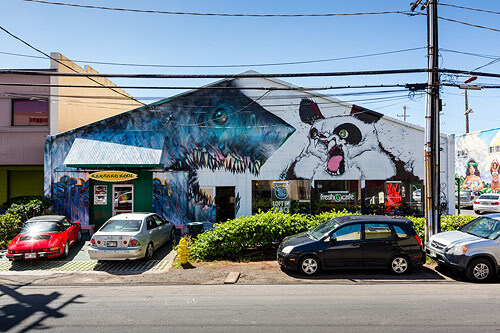 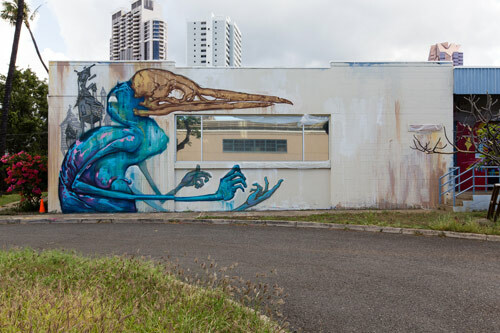 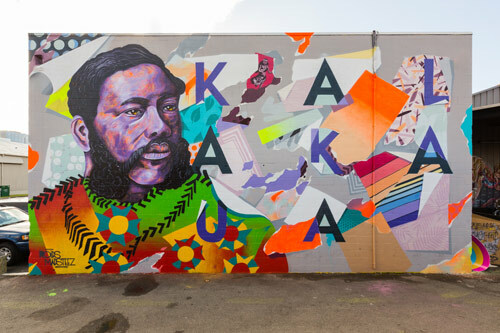 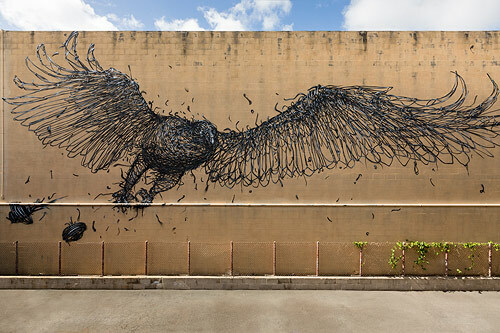 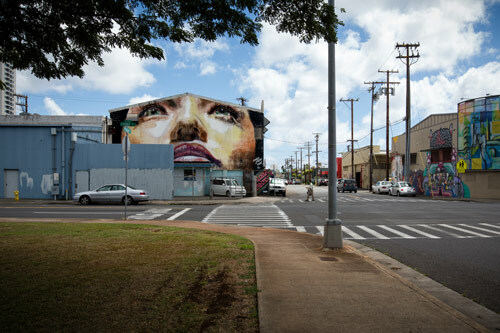 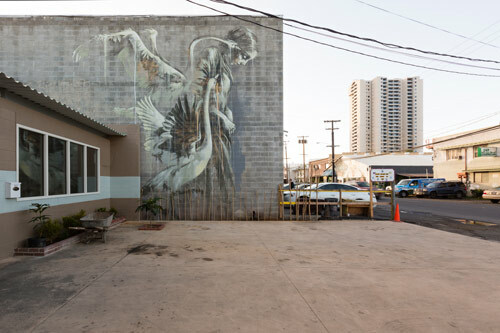 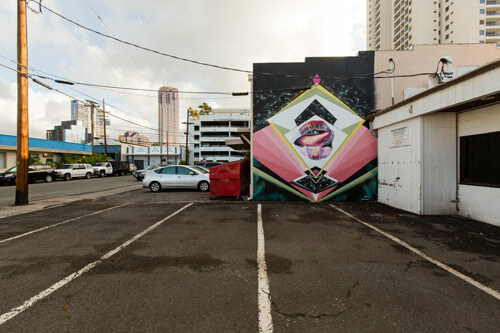 Here’s a look at many of the murals painted at Pow Wow Hawaii 2013, in the Kakaako district of Honolulu. 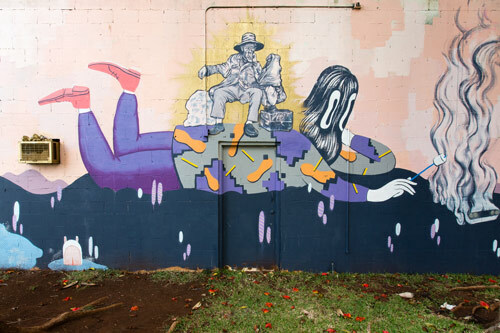 The event saw over 100 local and international artists descend upon the area and cover it with art. 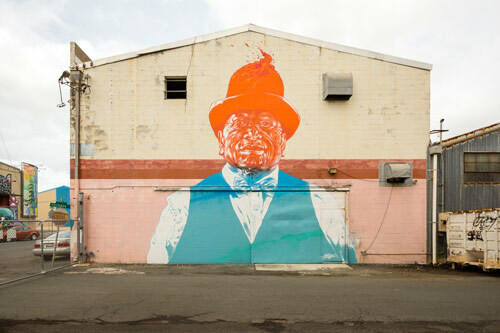 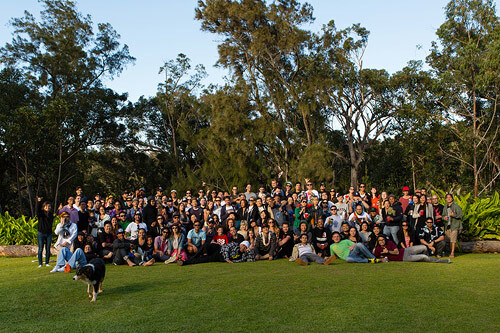 All photos by Brandon Shigeta. 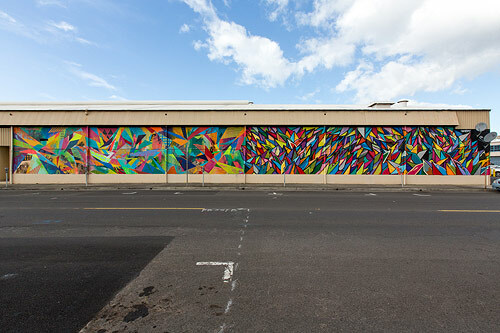 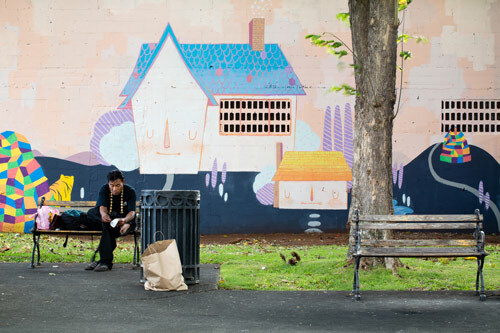 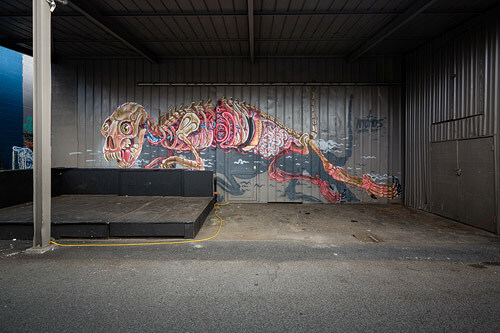 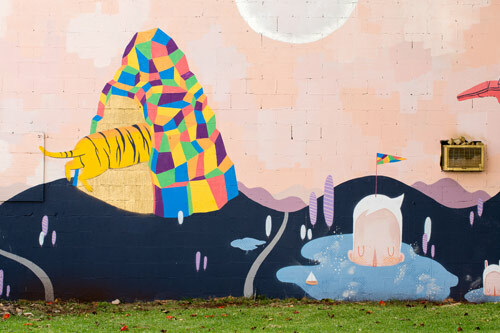 You can see larger images of the mural I painted here.